Thats all. Game finished - Borussia Mönchengladbach 3, VfB Stuttgart 0. Second Half ended - Borussia Mönchengladbach 3, VfB Stuttgart 0. Missed chance. Michael Lang - Borussia Mönchengladbach - shot with right foot from the right side of the box goes high. Assist - Lars Stindl with a cross. Missed chance. Florian Neuhaus - Borussia Mönchengladbach - shot with right foot from outside the box is close, but missed. Assist - Raffael. Offside - Borussia Mönchengladbach. Lars Stindl with a pass, however Thorgan Hazard is in offside. Florian Neuhaus - Borussia Mönchengladbach - won a free kick on the left wing. Delay in match Benjamin Pavard - VfB Stuttgart - - injury. Second yellow card to Erik Thommy - VfB Stuttgart - for a foul. Nicolás González - VfB Stuttgart - won a free kick in defence. Substitution - Borussia Mönchengladbach. Fabian Johnson for Ibrahima Traoré. Goal! Borussia Mönchengladbach 2, VfB Stuttgart 0. Florian Neuhaus - Borussia Mönchengladbach - shot with right foot from the centre of the box to the right corner. Assist - Thorgan Hazard. Substitution - VfB Stuttgart. Leon Dajaku for Anastasios Donis. Lars Stindl - Borussia Mönchengladbach - won a free kick in defence. Goal! Borussia Mönchengladbach 1, VfB Stuttgart 0. Raffael - Borussia Mönchengladbach - shot with the head from the centre of the box to the right corner. Assist - Florian Neuhaus. Missed chance. Raffael - Borussia Mönchengladbach - shot with right foot from the centre of the box missed to the left. Shot blocked. Florian Neuhaus - Borussia Mönchengladbach - shot with left foot from outside the box is blocked. Assist - Raffael. Missed chance. Michael Lang - Borussia Mönchengladbach - shot with the head from the left side of the box is close, but missed. Assist - Ibrahima Traoré with a cross after corner. Corner - Borussia Mönchengladbach. Conceded by Marc-Oliver Kempf. Shot blocked. Lars Stindl - Borussia Mönchengladbach - shot with right foot from outside the box is blocked. Assist - Raffael. Shot blocked. Raffael - Borussia Mönchengladbach - shot with right foot from outside the box is blocked. Erik Thommy - VfB Stuttgart - receive yellow card for a foul. Oscar Wendt - Borussia Mönchengladbach - won a free kick in attack. 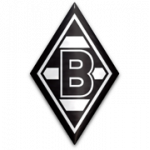 Substitution - Borussia Mönchengladbach. Raffael for Alassane Pléa. Substitution - Borussia Mönchengladbach. Florian Neuhaus for Denis Zakaria. Denis Zakaria - Borussia Mönchengladbach - receive yellow card for a foul. Timo Baumgartl - VfB Stuttgart - won a free kick in defence. Christian Gentner - VfB Stuttgart - won a free kick in attack. Corner - VfB Stuttgart. Conceded by Nico Elvedi. Offside - Borussia Mönchengladbach. Thorgan Hazard with a pass, however Ibrahima Traoré is in offside. Missed chance. Christian Gentner - VfB Stuttgart - shot with right foot from a diffucult position on the right missed to the left. Assist - Gonzalo Castro with a cross after corner. Shot blocked. Thorgan Hazard - Borussia Mönchengladbach - shot with right foot from outside the box is blocked. Assist - Alassane Pléa. Offside - VfB Stuttgart. Marc-Oliver Kempf with a pass, however Anastasios Donis is in offside. Substitution - VfB Stuttgart. Erik Thommy for Andreas Beck. Second Half starts Borussia Mönchengladbach 0, VfB Stuttgart 0. First Half ended - Borussia Mönchengladbach 0, VfB Stuttgart 0. Offside - VfB Stuttgart. Timo Baumgartl with a pass, however Anastasios Donis is in offside. Shot blocked. Andreas Beck - VfB Stuttgart - shot with right foot from the centre of the box is blocked. Tobias Strobl - Borussia Mönchengladbach - receive yellow card for a foul. Thorgan Hazard - Borussia Mönchengladbach - won a free kick on the right wing. Missed chance. Alassane Pléa - Borussia Mönchengladbach - shot with right foot from the centre of the box is high and wide to the right after corner. Shot blocked. Tony Jantschke - Borussia Mönchengladbach - shot with the head from the centre of the box is blocked. Assist - Ibrahima Traoré with a cross. Corner - Borussia Mönchengladbach. Conceded by Ron-Robert Zieler. New attacking attempt. Tobias Strobl - Borussia Mönchengladbach - shot with right foot from the centre of the box is saved in the top centre of the goal. Assist - Thorgan Hazard with a cross. Missed chance. Benjamin Pavard - VfB Stuttgart - shot with the head from the centre of the box missed to the left. Assist - Gonzalo Castro with a cross after corner. Corner - VfB Stuttgart. Conceded by Ibrahima Traoré. Corner - Borussia Mönchengladbach. Conceded by Christian Gentner. Missed chance. Ibrahima Traoré - Borussia Mönchengladbach - shot with left foot from the left side of the box missed to the left after corner. Shot blocked. Tony Jantschke - Borussia Mönchengladbach - shot with the head from the centre of the box is blocked. Assist - Thorgan Hazard with a cross. Corner - Borussia Mönchengladbach. Conceded by Nicolás González. Shot blocked. Michael Lang - Borussia Mönchengladbach - shot with right foot from the right side of the box is blocked. New attacking attempt. Denis Zakaria - Borussia Mönchengladbach - shot with right foot from a diffucult position on the right is saved by goalkeeper in the centre of the goal. Assist - Ibrahima Traoré. Denis Zakaria - Borussia Mönchengladbach - won a free kick in attack. Missed chance. Marc-Oliver Kempf - VfB Stuttgart - shot with left foot inside of six yard box - left side goes high after corner. Corner - VfB Stuttgart. Conceded by Yann Sommer. New attacking attempt. Mario Gomez - VfB Stuttgart - shot with right foot from the centre of the box is saved in the left corner. Assist - Gonzalo Castro with a through ball. Marc-Oliver Kempf - VfB Stuttgart - receive yellow card for a foul. Ibrahima Traoré - Borussia Mönchengladbach - won a free kick on the right wing. Offside - VfB Stuttgart. Christian Gentner with a pass, however Mario Gomez is in offside. Offside - Borussia Mönchengladbach. Michael Lang with a pass, however Alassane Pléa is in offside. Shot blocked. Michael Lang - Borussia Mönchengladbach - shot with left foot from few metres is blocked. Missed chance. Lars Stindl - Borussia Mönchengladbach - shot with the head from the centre of the box missed to the left. Assist - Thorgan Hazard with a cross after corner. Substitution - VfB Stuttgart. Gonzalo Castro for Dennis Aogo - injury. Dennis Aogo - VfB Stuttgart - receive yellow card. Corner - Borussia Mönchengladbach. Conceded by Benjamin Pavard. New attacking attempt. Thorgan Hazard - Borussia Mönchengladbach - shot with right foot from the right side of the box is saved in the right corner. Assist - Lars Stindl. 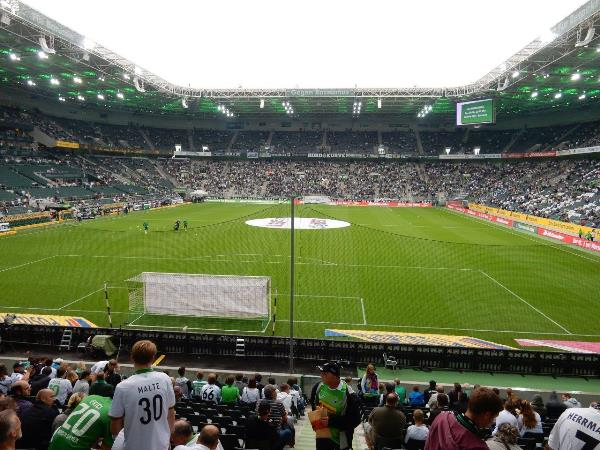 Delay in match Tony Jantschke - Borussia Mönchengladbach - - injury. Shot blocked. Denis Zakaria - Borussia Mönchengladbach - shot with right foot from outside the box is blocked. Assist - Thorgan Hazard. Denis Zakaria - Borussia Mönchengladbach - won a free kick on the left wing. Offside - Borussia Mönchengladbach. Alassane Pléa with a pass, however Thorgan Hazard is in offside. New attacking attempt. Alassane Pléa - Borussia Mönchengladbach - shot with right foot from outside the box is saved in the top left corner. Assist - Thorgan Hazard. Ibrahima Traoré - Borussia Mönchengladbach - won a free kick on the left wing. New attacking attempt. Ibrahima Traoré - Borussia Mönchengladbach - shot with left foot from the left side of the box is saved by goalkeeper in the centre of the goal. Assist - Thorgan Hazard. Alassane Pléa - Borussia Mönchengladbach - won a free kick in attack. Offside - VfB Stuttgart. Ron-Robert Zieler with a pass, however Anastasios Donis is in offside. Missed chance. Nicolás González - VfB Stuttgart - shot with left foot from the centre of the box goes high. Assist - Mario Gomez with a head. New attacking attempt. Anastasios Donis - VfB Stuttgart - shot with right foot from the centre of the box is saved by goalkeeper in the centre of the goal. Assist - Emiliano Insúa.